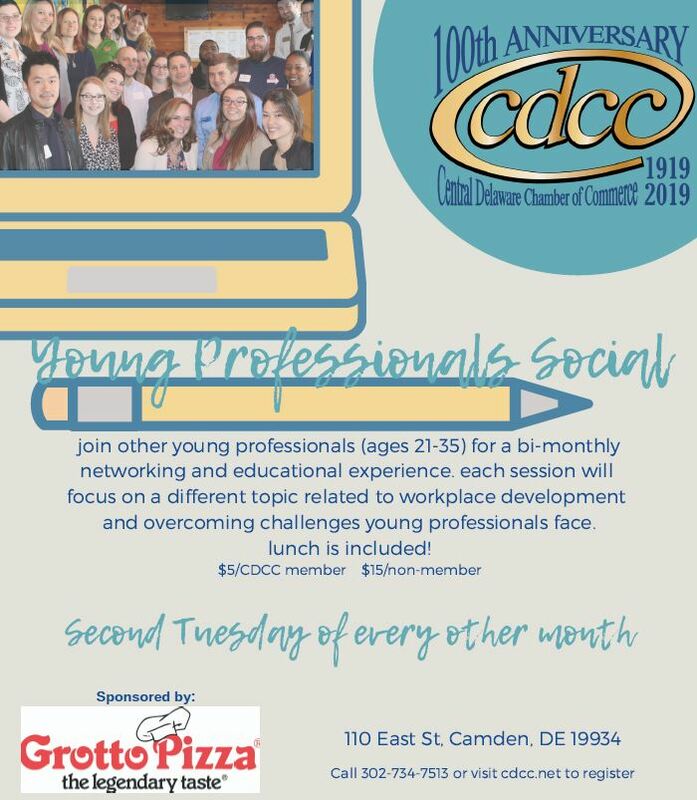 Join other young professionals (ages 21-35) for a bi-monthly networking and educational experience! stages to work through challenges and discuss goal-setting over a delicious lunch at the Grotto Pizza in Camden! Visit the Calendar of Events to register or call 302-734-7513.